We’re not planning to make the world’s lightest rechargeable cell. Hermes™ is more than a concept. It’s here now, and ready to help you get your ideas off the ground. Manufactured at the rate of 5,000 cells per month at our state-of-the-art facility, Hermes™ has been rigorously tested at wide temperatures and altitudes by the world’s top aviation, aerospace and social media companies and has come through with flying colors. Hermes™ cells power HALE (High Altitude Long Endurance) vehicles, VTOL (Vertical take-off and landing) flying transportation, and a wide range of consumer drones. 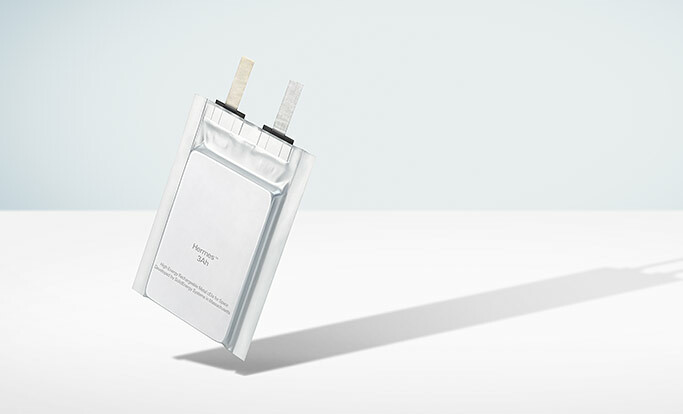 Being half the weight and twice as energy-dense as Li-ion cells, Hermes™ opens up new possibilities for flight. Benefits include longer range, more payload and better nighttime operation stability at high altitude. For more details, see below. 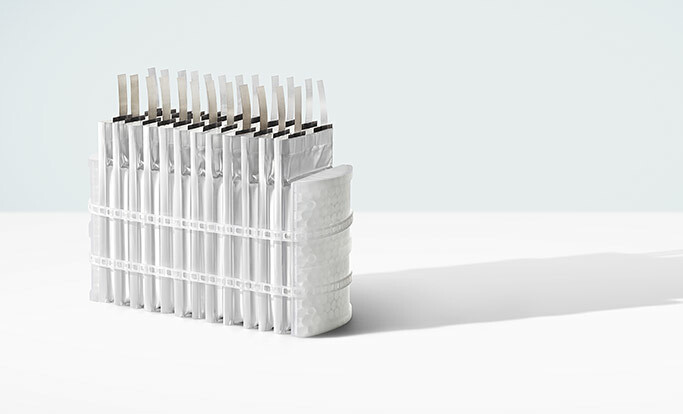 Hermes™ cells are manufactured in a 3 Ah and 6 Ah size. But that doesn’t mean we believe in a one-size-fits-all approach. The cells can be used individually or stacked to meet the power requirements of a particular application. Our engineers are happy to collaborate with your team to develop the optimal pack for your needs. See how the Hermes™ cell outperforms its Li-ion counterpart in three areas. HALE aircraft can now operate during winter, over a wider latitude, and stay at higher altitude at night, far above turbulent weather and clouds. Consumer drones can fly farther and carry greater payload, achieving greater utility while staying below registration weight limit. VTOL aircrafts can carry greater payload and travel greater distances, making electric air transportation a reality.